It’s been a couple of years since I finally managed to convince my mum to give me the terrarium that we found in the bushes in the house we moved to when I was 13 years old. She had never planted it so I promised that I would do it for her and then kind of never gave it back – ha! I have had to replace a couple of the plants in the terrarium over the last two years but on the most part it has been ridiculously simple to keep alive and healthy. First up I went for a walk with Otto along the Thames and popped down to one of the beaches and collected some small pebbles to lay at the bottom of the terrarium to provide drainage. Secondly, I ordered some special terrarium soil that contains charcoal and coconut husks and this keeps the soil fresh, which is very important in a closed environment and it also aids the drainage. Lay the soil over your pebbles. Thirdly, I bought a variety of succulents of different heights and textures. I ordered mine from eBay because there’s nowhere near me that sells a good variety of plants and I still haven’t learnt to drive (I know!!). I bought two collections from this seller, which totalled about £25 for eight plants and the delivery charge, and they arrived very well packaged and in good health – not cheap but far less hassle than travelling to a garden centre from where I live. Plant them with enough space between each, being aware that they will spread as they grow. It can be quite fiddly because of the restricted access so you just have to be slow and patient. Fourthly, do not over water! All you need is about one very small jug’s worth every month or so. Just keep a close eye on the plants and the moment you see any shrivelling in the plump leaves you know it’s time for some water. Such a great find; I think it cost her about £20 from an antiques shop in Rye. Do you think she will notice if she never sees it again?! 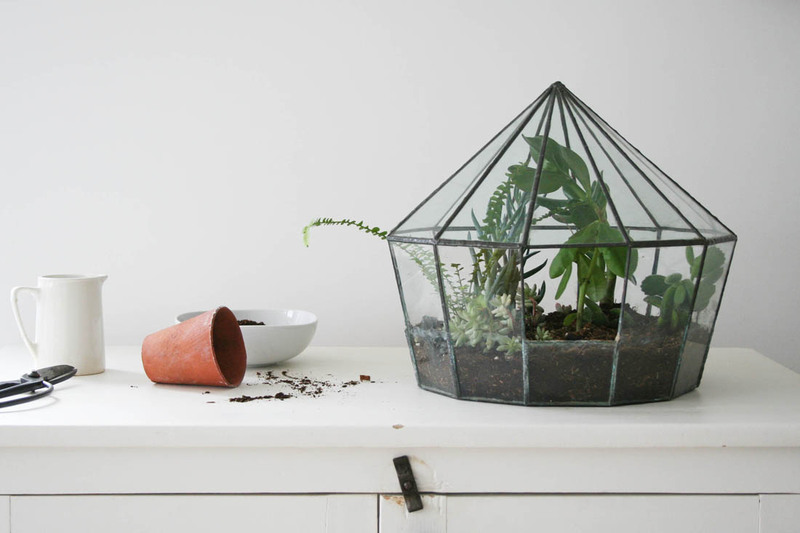 You know how much I love your Terrarium from your mum! Thank you for the great tips and resources. What a fantastic house warming present. Oh this is beautiful and I now really need one of these! I am desperate for more greenery in my living room but it is quite a dark that doesn’t get much natural light so my plants don’t seem to like it. Such a lovely housewarming gift. 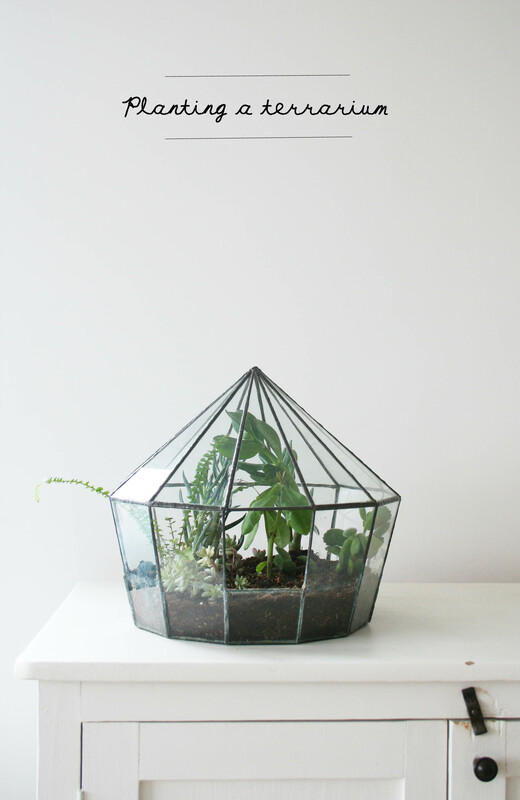 I love terrariums but I kill all but the hardiest of plants. I wonder if I could keep some succulents alive? Fingers crossed! Iwould like to receive your news. Can you add me and send the new posts to my e-mail address pls!